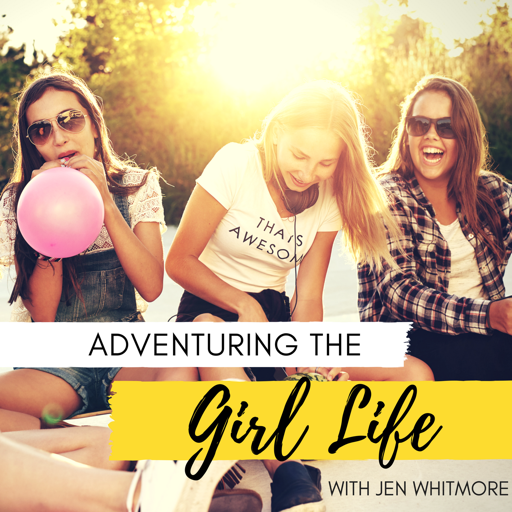 Welcome to Adventuring the Girl Life, where we believe life for every girl should be well-lived. Today’s Topic: Let me guess: Were you spending a lot of your fantastic time soaking up so much sunshine by the beach or pool this summer? If not, then better go out now and enjoy the sun! Well, if you’re about to go out now under the sun, I read an article about sunscreens that might help. Though sunscreens are your last resort from protecting your skin from the UV rays, it is best that you own a healthy sunscreen. Most of the sunscreens on the shelves are toxic for you. Choose sunscreens with healthy ingredients. And, as much as possible, get in the shade! Another thing we’ll talk about today will be very helpful for my girls and guys out there who want to get into it or just maintain their summer bodies. Here are the 3 things to do before exercising: 1 - Wear red to the gym so you could ‘Pause and Assess’. 2 - Put your gym clothes out the night before. 3- Take a cool shower after you’ve worked really hard. You might think they’re absurd but it really works! Learn more if you listen to this episode. It’s time to get ready to soak up the sun and flaunt that fit body of yours! Adventure of the Week: I got a tattoo! Well, not (yet?) permanent. This week, I went to a henna shop by the beach. This lovely girl in the tattoo parlor has been helping me decide on what designs I should go for or whether I should get a permanent tattoo. Hmmm. I’m honestly still weighing on it. I have to find something I absolutely love to put in my body permanently. I mean, I looove pineapples but I’m not sure if I want it on my skin for the rest of my life. Let’s see! Click Here to Check Out of Adventure! Crowns and Flops: Flop: What’s more annoying than pet peeves? It’s when you, yourself, are guilty of doing it also. Ugh. A little backstory first. For the longest time, I trained my kids to be polite and respectful every time they need something and they’re about to intrude a conversation. A simple ‘excuse me’ will suffice. It’s because I totally hate being ignored in a conversation and repeating stuff I already said. BUT this isn’t what happened when I was talking to a girlfriend on the phone. She was all smiles sharing her summer stories but I absent-mindedly left the conversation to entertain my child! I know. How rude! I lost track of what she was talking about because I stopped listening. I really felt bad. I broke my own rules. I ignored my girlfriend. In the end, I apologized. Crowning Moment: I got my new Mac Computer! I can’t even tell you how I excited I was when I got it. I was a PC girl my whole life! Sadly, I had to switch sides because PC has no capability anymore to handle tasks for my podcast, blogs, videos, etc. Can’t wait to play with my new toy! Get in touch Go to Facebook to join my Mastermind Group and learn more about Jen Whitmore Training. Follow me on Instagram and join the discussion by using #adventuregirl and #routineadventures. Support this podcast by becoming a supporting Patreon member. Visit my website to get in touch with me and learn more about the personal training I offer. Get your copy of my Freebie Five Days of #SugarFreeHacks. © 2019 OwlTail All rights reserved. OwlTail only owns the podcast episode rankings. Copyright of underlying podcast content is owned by the publisher, not OwlTail. Audio is streamed directly from Jen Whitmore servers. Downloads goes directly to publisher.